Even though hair loss is a fairly common phenomenon, with nearly 40% of women and 80% of men experiencing it to some degree at one point in life, it still has negative impacts on the quality of lives of those suffering from it. According to psychological research people with hair loss often report feelings of inadequacy and self-esteem issues. These psychological effects of hair loss can be unbearable at certain points. The good news is that there are many clinics specialized in hair transplant, such as Vera clinic, which can provide the affordability and effectiveness of modern hair transplant surgeries. So the patients do not have to cope with them for all eternity. Thanks to science and its advancement, hair transplant makes it possible for people to restore their lost hairs and confidence too. Most patients are uncertain about hair transplantation. Surgery often seems extreme when compared to other forms of hair loss treatments and remedies. While it’s better to deal with specific health issues using natural remedies, hair loss does not belong to this category. Most non-surgical methods do not work for hair restoration. And on the rare occasions they do, patients have to apply or consume the treatments continuously. Meaning when they stop, hair loss will presume. Hair transplant surgery is a one-time session that yields permanent results. During this procedure, doctors will extract donor hairs from areas of high hair density using a punch. 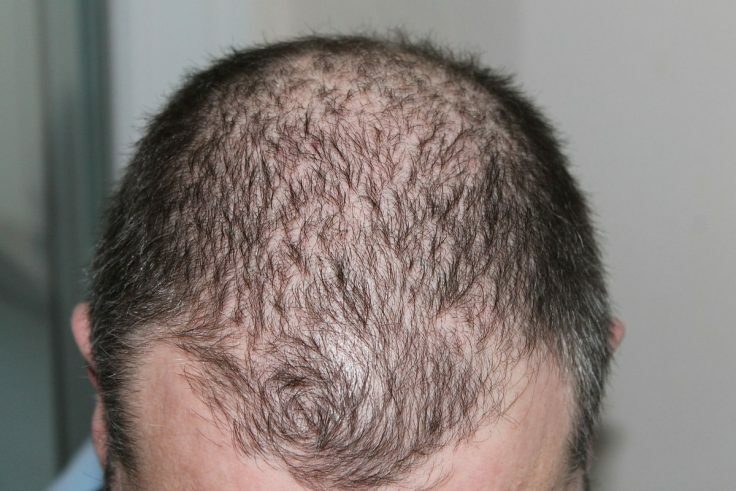 Once the hair is obtained, doctors will then carefully implant them in thinning or bald areas to regenerate hair growth. One of the primary reasons why hair transplant surgeries have grown so popular in recent years is due to their ability to create natural-looking results. Because doctors transplant hair from areas similar in texture to the bald regions and implant them there, the transplanted hair grows to blend well with the hair in the region. The fact that this surgery depends on the patient’s own follicular units ensures authentic end results. Another reason that makes people reluctant about the procedure is the fear of long recovery periods. And if this is the case, patients can sigh in relief. Hair transplantation and particularly FUE is microsurgery that only requires local anesthetics with no downtime. Patients can resume their daily activity right after surgery. It is better if patients take a few days off work to rest, but if they want to go back to work, they may. Doctors will provide patients with simple aftercare instruction, which are not an inconvenience to adhere to. A common misconception among patients is that hair transplantation is only for head hair. That information, of course, is false. Hair transplantation can be performed anywhere on the body. Patients can increase the thickness of their brows or fill patches on their beard and mustache hair. The results are also permanent and authentic. Since the equipment utilized is all micro in size, no scarring is left. This is a huge advantage for someone considering hair transplant surgery. Anyway, we struggle enough with stretch marks and other types of scars on our bodies, so no one needs more of them. Now, there are downsides to this procedure too, such as high pricing, which in most cases isn’t covered by your health insurance. Hopefully, these advantages of hair transplant surgery will help you consider it if you feel like you’re losing your hair. Spiritual and herbal medicine can be used as a simple way to deal with minor health issues and illnesses that we face from time to time. Thyroid hair loss isn't a condition you can cure instantly. But here's how you can take care of your remaining hair to slow down the loss. Nutrition, exercise, and taking prenatal vitamins can help you have a smooth and easy pregnancy with less of the common symptoms. You want to increase your masculine energy to get strength, mastery, discipline, aggression, intelligence, focus, and calculated risk-taking. If you're not satisfied with your teeth appearance, there's something you can do to improve your smile. Follow these tips and smile again! Regular exercise supports better sleep by burning the extra fat, increasing melatonin production, and reducing heartburns, among others. Without any doubt, there are more than seven health benefits of physical exercise. But we're gonna focus only on the most important ones. In terms of whether or not probiotics can help reduce stretch marks, there is some beneficial evidence to suggest that they may.